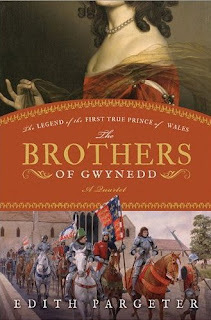 SYNOPSIS: Set in 13th Century Wales at the time of the Plantagenets, The Brothers of Gwynedd is an ambitious and absorbing saga about Llewelyn, the grandson of Llewelyn the Great, enveloping readers in the guts and glory of medieval Wales. Llewelyn dreams of one Wales, united against the threat of the English. But first he must tackle enemies nearer home. His brothers vie with him for power among themselves and with the English king, Henry III, and their willful infighting threatens the very soil of their fathers. Despite the support of his beloved wife, Eleanor, Llewelyn finds himself starting down his own downfall, a tragic death he might not be able to prevent, and a country slipping out of his grasp. SYNOPSIS: Twenty-five years ago, Armino Fabbio left his Italian home to escape the German army. Unrecognized upon his return, he is haunted by the presence of his older brother, whose plane was shot down in the middle of the war. He also senses the presence of the town's evil founding father —a man who lived 500 years before and was known as the Falcon. When he becomes circumstantially involved in the murder of an old peasant woman in Rome, the demonic past and present begin to become one in a story of terror and suspense. Pro-order at PTTP's Amazon Store. SYNOPSIS: In Daphne du Maurier's acclaimed debut novel, Janet Coombe longs to know the wildness of the sea and a life of adventure and true freedom. 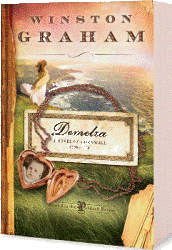 But she is a prisoner of her forbidding times and marries her cousin, a staid shipbuilder. However, she carries within her the loving spirit that she passes on to her beloved seafaring son, his children, and his children's children, as they overcome hardship and heartbreaking loss. 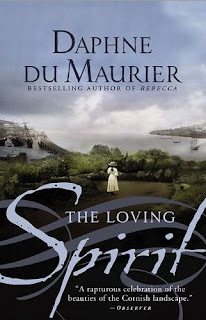 Richly plotted and set in a rapturous creation of the Cornish countryside, The Loving Spirit is a stunning novel written on a grand scale, a saga filled with humor and satire, courage, and an abiding sense of the romantic. SYNOPSIS: Set against the backdrop of a country racked by revolt and class warfare, Within the Hollow Crown showcases the true spirit of a king at the end of one of the most glorious dynasties, who wants both England's heart and crown. Perhaps one of the most misunderstood of all English monarchs, the son of the Black Prince and grandson of Edward III has been portrayed in a dim light by history. 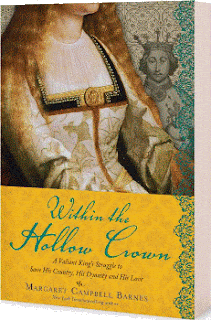 But Margaret Campbell Barnes gives readers a different portrait of Richard II. Although his peace-loving ways set him apart from the war-mongering medieval world around him, Richard proved himself a true king by standing down a peasant revolt and outwitting the political schemes of his enemies. Struggling to uphold the valiant Plantagent dynasty, Richard and his queen, Anne of Bohemia, nonetheless manage to create an exquisite partnership, described as "one of the tenderest idylls of romance ever written." I'm *so* excited about the 'new' Margaret Campbell Barnes! I really want the Margaret C Barnes book and the one about Llewelyn. I've heard a lot about the Gwynedd series- I am looking forward to that one! I too cannot wait for the Barnes book! 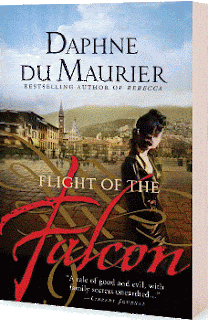 I like the Du Maurier reissues, those look lovely. Barnes book at the top of the list!! !